When it comes to improving your health, some of the simplest strategies can have a tremendous impact. Sweating in a sauna, for example, has many great health benefits, including expelling of toxins, improving blood circulation, killing disease-causing microbes and improving mitochondrial function. More than 2,300 middle-aged men were followed for more than two decades in this study, and the results held even after other healthy lifestyle factors were taken into account, such as exercise and socioeconomic factors. Other research3 has shown sauna use increases levels of norepinephrine, a stress hormone that increases focus and attention, as well as prolactin, which may promote myelin growth, helping your brain to function faster and repair nerve cell damage. Researchers have also found a link between heat exposure and brain-derived neurotrophic factor (BDNF), which activates brain stem cells to convert into new neurons. BDNF also triggers numerous other chemicals that promote neural health. These findings remained stable even when confounding factors such as smoking, blood pressure, cholesterol and triglyceride levels were factored in. In regard to time, the greatest benefits were found among those who sweated it out for 19 minutes or more each session. One mechanism for this effect is thought to be related to the fact that the heat places stress on your heart and body similar to that of exercise. Conversely, hyperthermic conditioning (i.e., acclimating yourself to heat independent of aerobic physical activity through sauna use) can also boost your exercise endurance. It does this by inducing adaptations in your body that make it easier for you to perform when your body temperature is elevated. Stated another way; as your body is subjected to heat stress, it gradually becomes acclimated to the heat, prompting a number of beneficial changes and adaptations. This includes increased blood flow to your heart and muscles (which increase athletic endurance) and increased muscle mass due to greater levels of heat-shock proteins and human growth hormone (HGH). Your skin is the largest organ in your body and your sweat glands are one way of cleansing your skin and releasing toxins that build up in your cells. Lack of sweating may actually result in an increased toxic load over time, which in turn can adversely affect your heart and brain. Compared to other detoxification strategies, sauna bathing has a number of benefits, and may be one of the best, if not the best, strategy to lower your toxic load in a natural way. As discussed in my interview with Dr. George Yu, the mobilization of stored toxins can be further enhanced by taking niacin in conjunction with sauna bathing. While still often downplayed by modern medicine as a means of detoxification, studies have shown that sweating can help excrete heavy metals such as cadmium, arsenic, lead and mercury,12 for example, all of which can have very serious health effects. Sauna use may also help your body excrete nonbiological halides, like bromine or fluoride that displace iodine. This is particularly important if you have thyroid issues. A lack of sweating or an inability to sweat is often a sign of hypothyroidism (underactive thyroid). Hypothyroidism may be exacerbated by halides found in baked goods, soft drinks, pesticides, fire retardants and other products. These halides bind to the same receptors in your thyroid used to capture iodine, necessary for the production of thyroid hormones. This results in a low production of thyroid hormone and symptoms of hypothyroidism. The more you can excrete the halides (and reduce your exposure), the more iodine your body can use to produce thyroid hormones. Individuals suffering from fibromyalgia have also experienced great results from using saunas to reduce discomfort and pain. In one small study, 44 patients with fibromyalgia found a reduction in pain between 33 and 77 percent. Anecdotally, one of my senior staff writers reports successfully treating all sorts of aches and pains using a portable tent-style low-EMF infrared sauna, including headaches and general pains associated with menstruation, stiff knees, shoulder and back pain, and even migraines. She started using it four times a week for 30 minutes per session at 150 degrees by recommendation from her doctor after being diagnosed with lead and aluminum toxicity, and was pleasantly surprised to notice its acute effects on various aches and pains as well. The difference between an infrared sauna and the traditional Finnish-style saunas (whether wet or dry) is that the Finnish-style sauna heats you up from the outside in, like an oven. The infrared sauna heats you from the inside out. Infrared saunas are particularly known for their ability to promote detoxification, and this is part of the reason for that. By heating your tissues several inches deep, the infrared sauna can enhance your natural metabolic processes and blood circulation. It also helps oxygenate your tissues. What’s the Difference Between Near- and Far-Infrared Saunas? Near-infrared saunas have several additional benefits over the others, including far-infrared saunas. For starters, it penetrates your tissue more effectively than far-infrared because wavelengths under 900 nanometers (nm) in the near-infrared are not absorbed by water like the higher wavelengths in mid- and far-infrared, and thus can penetrate tissues more deeply. “Here you have only very low absorption by water molecules, and this is the reason why radiation has a very high transmittance. In other words, it penetrates very deeply into your tissue, so the energy distributes in a large tissue volume. This near-infrared A is not heating up the tissue so you will not feel directly any effect of heat. 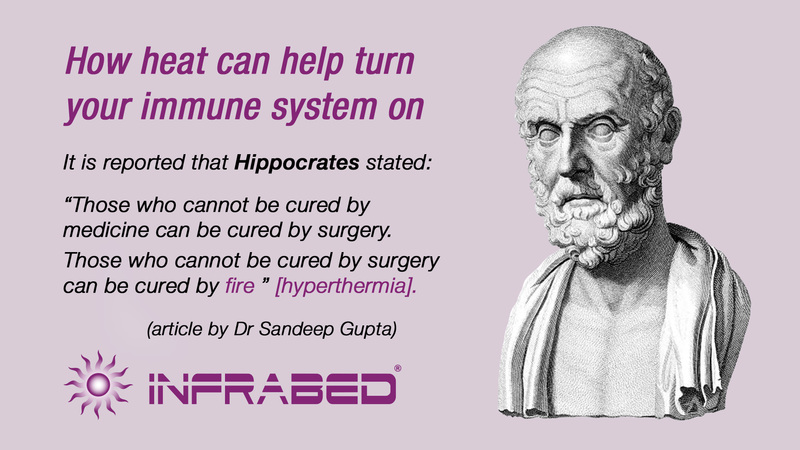 The near-infrared range affects your health in a number of important ways,18 primarily through its interaction with chromophores in your body. Chromophores are molecules that absorb light, found in your mitochondria and in water molecules. To make sure the near-infrared rays can penetrate your skin, avoid wearing clothing when using a near-infrared sauna. In your mitochondria, there’s a specific light-absorbing molecule called cytochrome c oxidase (cco), which is part of the mitochondrial electron transport chain and absorbs near-infrared light around 830 nm. Cco is involved in the energy production within the mitochondria. Adenosine triphosphate (ATP) — cellular energy — is the end product. ATP is the fuel your cells need for all of their varied functions, including ion transport, synthesizing and metabolism. Most people don’t realize that light is an important and necessary fuel just like food. When your bare skin is exposed to near-infrared light, cco will increase ATP production. 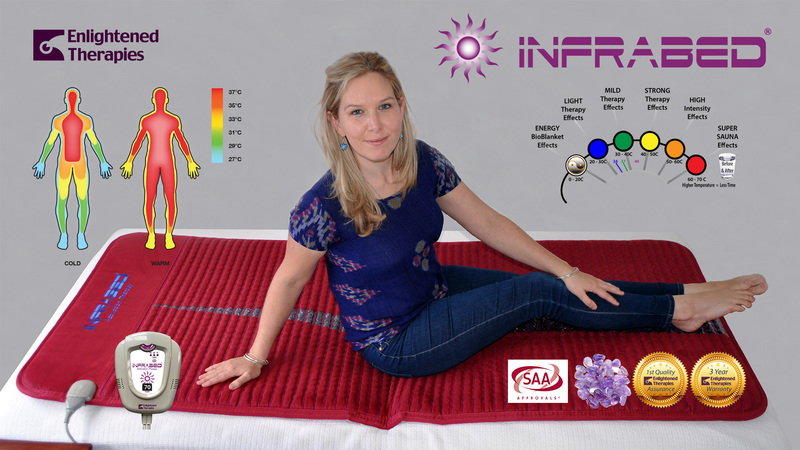 It is also important to understand that near-infrared light is healing and repairing, and helps optimize many other biological functions. Its absence in artificial light sources like LEDs and fluorescents is what makes these light sources so dangerous to your health. We now know that mitochondrial dysfunction is at the heart of most health problems and chronic diseases, including many signs of aging. For these reasons, I strongly recommend using a sauna that offers a full spectrum of infrared radiation, not just far-infrared. Regular exposure to near-infrared through the sun and/or sauna is a powerful strategy to improve your health. Also beware of the fact that most infrared saunas emit dangerous non-native EMFs. So, look for one that emits low or no non-native EMFs. To learn more about this issue, please see my interview with Steve Benda, who has spent many years developing low-EMF saunas. After searching for a long time, I finally found a near perfect full-spectrum infrared sauna that I hope to have made to my customized specifications in a few months, so stay tuned for this exciting development. Dr. Lawrence Wilson has written an excellent book, “Sauna Therapy,” which is the best resource I have read to date on sauna use.19 As a nutritional consultant, Wilson recommends not spending more than 20 minutes in a near-infrared lamp sauna unless you’re also on a nutritional balancing program. 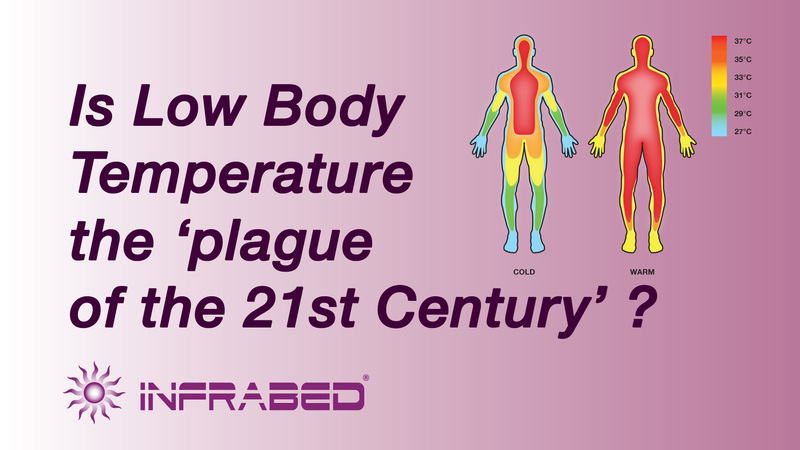 The reason for this is because the near-infrared can produce profound changes in your body chemistry. While most of these changes will be beneficial, if you have very unbalanced mineral ratios you could potentially worsen the problem. My staff writer, whom I mentioned earlier, experienced this problem as well. After several weeks of regular sauna use, she developed symptoms suggestive of a magnesium deficiency. Magnesium is one of the minerals that are more rapidly depleted when you sweat a lot. The symptoms, which included a persistent “thick” headache and muscle spasms, began to dissipate within 15 minutes of taking an extra-large dose of magnesium, and disappeared completely after two days of upping her magnesium dosage. Many other minerals can also be lost through sweating. To replace lost minerals, Wilson recommends taking kelp and using a high-quality natural (unprocessed) salt in your cooking. My preference is Himalayan salt in combination with magnesium as most of us are deficient in magnesium. Wilson also provides instructions for how to build your own near-infrared sauna. If you currently have a far-infrared tent sauna, you could simply add one or two 10-watt infrared heat lamps as these types of bulbs emit near- and mid-infrared radiation. If you have a larger wooden sauna you could use a few 250-watt heat lamp bulbs. You could also add a small air purifier that produces negative ions that further enhances sauna benefits. I have been taking an early morning 30-minute infrared sauna nearly daily for the last six months and enjoying swimming in my unheated pool afterwards, which at this time of the year is below 50 degrees, providing over a 120-degree contrast. But I feel great after I get out of the pool. For men considering this regimen, I would caution them to protect their testes by holding an ice pack near their scrotum while they are in the sauna, as the testes weren’t designed for these types of high temperatures and there are some reports of impaired fertility in men who use sauna regularly. Overall, regular sauna therapy, especially full-spectrum, near-, mid- and far-infrared low EMF sauna, can be a powerful adjunct to optimize your health through eliminating toxins and recharging your body with regenerating red and infrared wavelengths that energize your mitochondria and charge your water cellular battery.